On February 1, Brest Interdistrict Department of the Investigative Committee of the Republic of Belarus issued an indictment order against Brest blogger Siarhej Piatrukhin in a criminal case initiated against him previously under the articles "Libel" and "Insult." Siarhej Piatrukhin informed Brest Newspaper about it. The blogger was incriminated by a video-clip filmed last March in Leninsky District Court hall in Brest and broadcast on YouTube. According to the order, in the video, Piatrukhin gave information concerning the local police inspector of the Leninsky District Department of Internal Affairs Siarhej Ihnatsiuk. Later this video was posted online accompanied by comments "containing arrogant, derogatory, negative, nonstandard expressions to the video "The Fantastic Four_3. Nosy. The End." Thus, he "intentionally insulted the honor and dignity" of four officers of the Leninsky District Department of Internal Affairs, which caused them pain and suffering. Siarhej Piatrukhin is a permanent participant of protest actions against the construction of a harmful car battery factory. Blogger conducts his own investigation revealing corruption and theft. 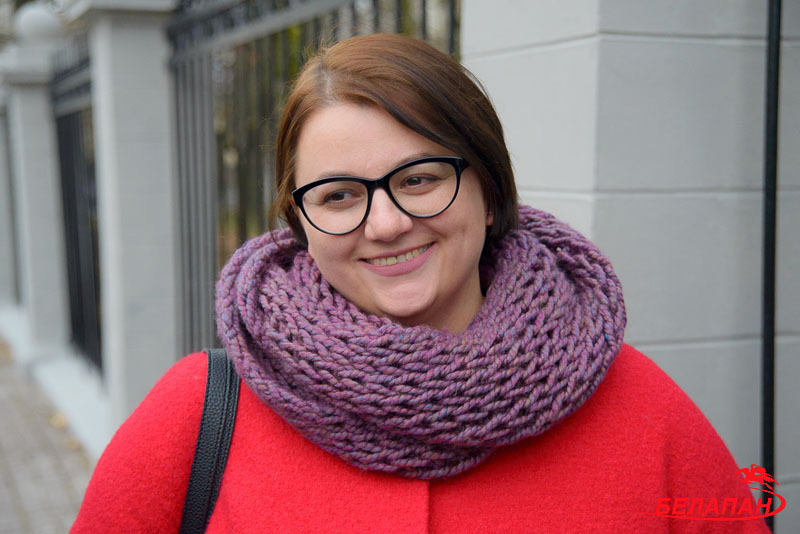 On February 5, journalist of the non-state news agency BelaPAN Tatsiana Karavenkova, and editor of the TUT.BY portal Hanna Kaltyhina received phone calls from a police officer who asked them to come to the police station for fingerprinting, informs BAJ. Both journalists refused to appear at the station without a subpoena. Tatsiana Karavenkova and Hanna Kaltyhina were accused in the "BelTA case." The criminal case against Karavenkova was dropped on November 26, 2018. On November 27, 2018, the charges against Hanna Kaltyhina (and four other employees of TUT.BY) were also dismissed. Therefore, according to a BAJ lawyer, at this stage, the law enforcement officers have no right to make them give fingerprints. At the moment, the only accused in the "BelTA case" remains the TUT.BY chief editor Maryna Zolatava. The hearing is scheduled for February 12. The Human Rights Center Viasna addressed the UN Special Rapporteur on Torture and Other Cruel, Inhuman or Degrading Treatment or Punishment with a request to investigate the acts of cruel, inhuman and degrading treatment in a recent notorious case of anti-police graffiti. During her three-day detention and stay in the temporary detention facility, Anastasija Huseva was deprived of food and water for one day, was refused medical assistance and a possibility to go to the toilet, and faced humiliation, abuse, and threats. Human rights defenders draw the attention of the Special Rapporteur to the fact that the Belarusian authorities don't react to the reports of torture and other cruel, inhuman and degrading treatment and punishment. Therefore, the Special Rapporteur is asked, using the potential of your mandate, to initiate communication with the Belarusian authorities and urge them to ensure competent and impartial investigation of acts of cruel, inhuman and degrading treatment to which Anastasija Huseva was exposed during her detention and stay in the temporary detention facility. Anastasija Huseva, together with Dzmitry Palijenka and Jauhen Chulitski, was detained early on January 21 by the criminal investigation officers on suspicion of committing a crime in violation of Article 341 of the Criminal Code of the Republic of Belarus criminalizing the desecration of structures and property damage. Dzmitry Palijenka has also filed a complaint of police violations during the search in his flat and detention conditions.